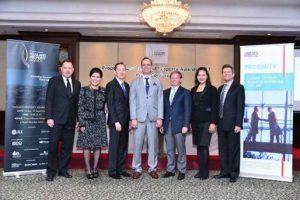 Being very well respected as “World’s Top Amenity,” Crystal Lagoons, the water innovation multinational company, announced its continuation to be involved in the 12th PropertyGuru Thailand Property Awards 2017 as co-sponsor, honoring finest developers and real estate personalities in Thailand, at the press conference recently. 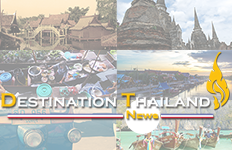 More than 30 awards will be given to recognize the outstanding real estate investors and their projects in the markets of Bangkok, Phuket, Hua Hin, Chiang Mai, Samui, Phang Nga/Krabi, and Eastern Seaboard, with new additions of Songkhla, Northeastern, and Universal Design. (left to right) Mr. Jaime Rivera (5th left), Crystal Lagoons’ Regional Director for Southeast Asia, recently participated in the press conference of 12th PropertyGuru Thailand Property Awards 2017, together with member of the judging panel. “For the past two years, we have been partnering with Thailand Property Awards and have attended all of their award ceremonies throughout Southeast Asia. We have always aimed to further develop our business and have managed to work with 20 developers who are engaged in the event. It is a valuable opportunity for us to network with people in the real estate industry and build partnerships with them. 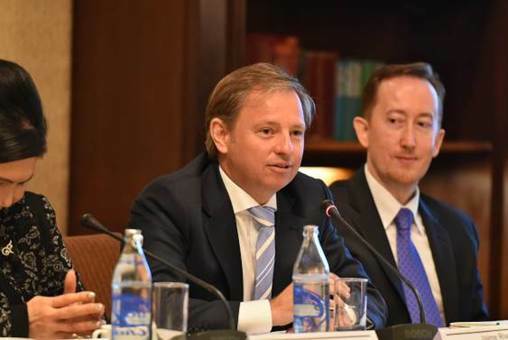 We most likely and sincerely look forward to continue this relationship in the future,” said Jaime Rivera, Regional Director of Southeast Asia of Crystal Lagoons.